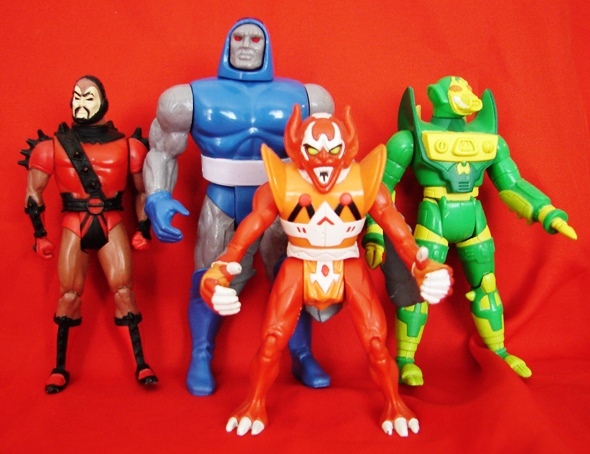 Toyriffic: More Brave and the Bold style action figures...for 2013?!?! More Brave and the Bold style action figures...for 2013?!?! This small image was just brought to my attention by a twitter friend. 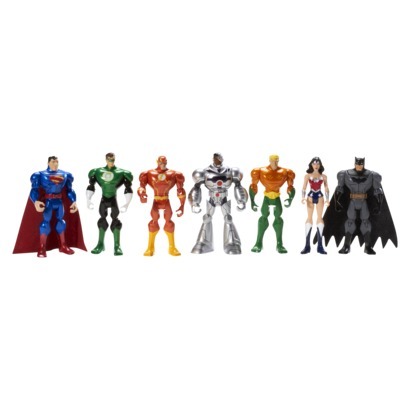 It's of a Target exclusive seven figure set of the Justice League called simply "Batman Legacy Justice League Figures"
This seven pack of figures appears to all be in the long ago canceled Brave and the Bold action figure style but includes a never before seen Cyborg, Hal Jordan Green Lantern, a beardless Aquaman and omg - WONDER WOMAN (in a line that Mattel stated emphatically would not include any female characters). This news really came out of left field! The set is unavailable online as of writing this post but will retail for $49.99, so I probably won't own it until it hits clearance (which it probably will.) I will also have to see it in person to make a final judgement. 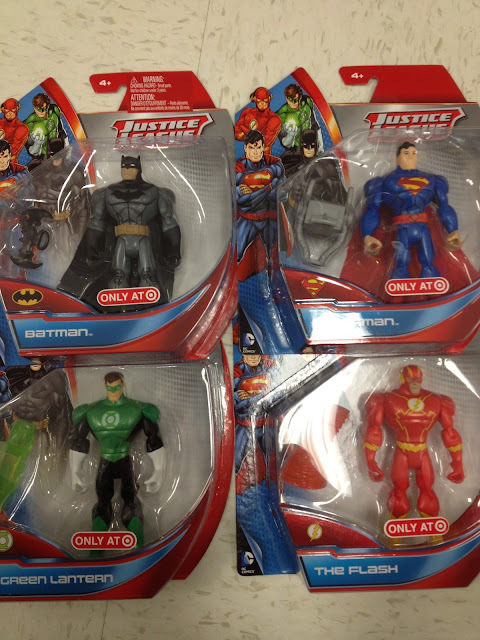 Depending on the price of these, I'll probably get that Batman. Sadly it appears Wonder Woman is not part of a single figure release, and if past Target multi-pack exclusives are any indication, I doubt she ever will be. Has anyone seen these at retail yet? Ok I think I will be buying the 7 figure set when it comes out and then goes on clearance! I saw the single figures today as a matter of fact. I was really excited because I was hoping for a single carded WW, so I can't believe they wont be making one. However the mult-pack I guess will be good enough. 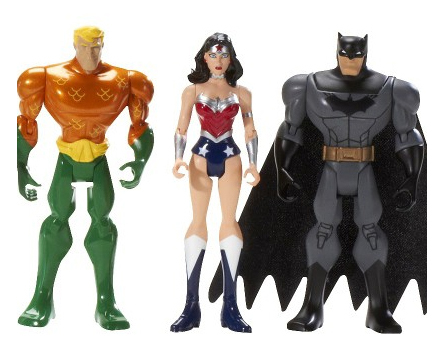 I mean I feel like the world has enough Batman and Superman figures, at some point Wonder Woman will have her time. Right? I'll start holding my breath... now. Well I'm not positive there won't be another way to get WW besides in the 7-pack, but I am usually right about these things. Toy collecting history oft repeats itself. I just don't see WW being a pegwarmer at the single carded level, but I agree, better this than no option at all! NooOoOOo!! We don't have any Targets in here and we want these!!!!! I saw these at my Target for $7.99. According to the back of the card, there's a power armor Lex too, but I didn't see one on the pegs.